He bought a subscription to International Living magazine. Bruce figured Belize sounded good because they speak English, and the towns he researched were safe. The couple decided to vacation there first. 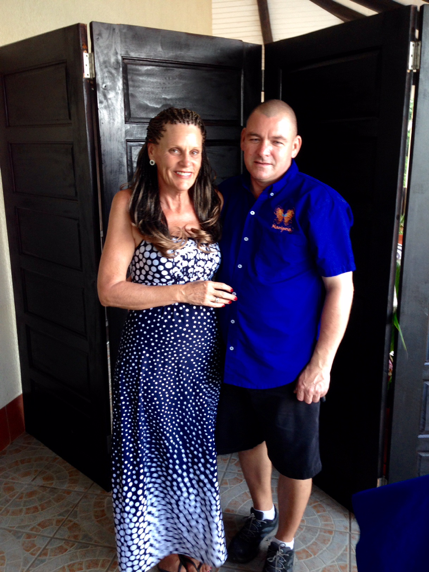 They flew to Belize at Christmas and they loved it. “We put the house up for sale as soon as we came back,” says Sharon. In 2013, they bought a waterfront home in Placencia, on Belize’s southeast coast. They soon realized it was too big for the two of them, so they built a restaurant and some vacation suites on site. For the past four years, they’ve been running Mariposa Restaurant and Beach Suites. When North Americans think of a low-cost country to retire, many consider Mexico. But Belize has a different charm. For starters, it’s a Commonwealth country. English is the official language. The money is also easy to figure out. Two Belizean dollars equal one U.S. dollar. Residents don’t pay local capital gains tax, nor do they pay local taxes on foreign-earned income. So what’s not to like? That depends on how you roll. I walked into a Belizean supermarket to see what she meant. A 6 oz. ounce tube of Colgate toothpaste cost about $3.48. The same brand at a U.S. based WalMart, costs $2.47. A 10 oz. bag of Lay’s potato chips cost $4.98 in Belize. At a U.S. based WalMart, it costs $2.50. Joyce says expats can live on about $30,000 a year. The costs of goods and services are higher in Belize than they are in Mexico. Bruce Maddison, however, says that’s a bonus: “I love Belize because my wife can’t shop.” The United States, Canada and Mexico have plenty of big box stores, shopping malls, Starbucks coffee shops and unique boutiques. But Belize is different. As Sharon says, “There’s nothing for you to buy, unless you want Belize written on all your new t-shirts.” If you’re a recovering spendthrift or a credit card junkie, Belize offers some salvation. Some of the most popular retirement destinations include Ambergris Caye, San Ignacio and Placencia. 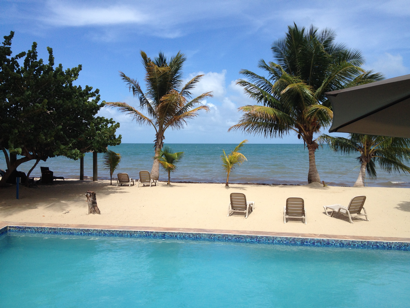 On Ambergris Caye, you can buy single-bedroom condominiums on the beach for $225,000. 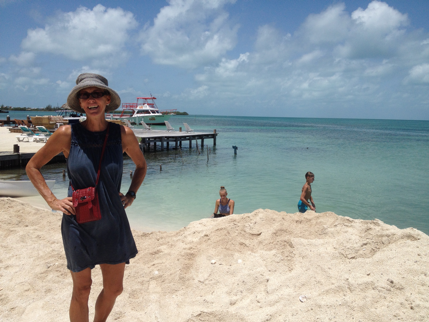 Laurie Norton’s blog, tacogirl.com, helps plenty of Belize-bound vacationers and retirees. It includes information on flights, activities, accommodations, shopping, fitness, food and moving to Belize. 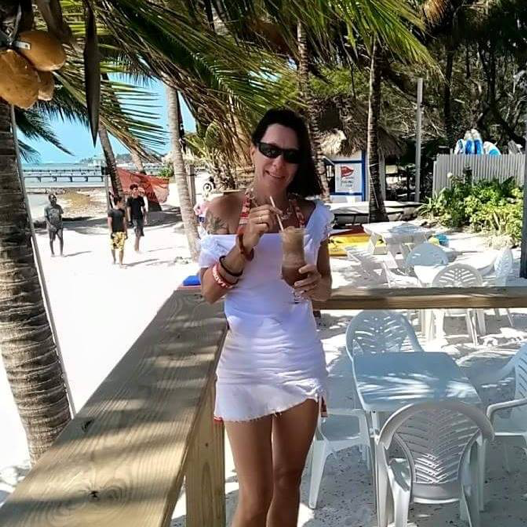 The 50-year old Canadian says, “I love the amazing adventures, gorgeous country, great people and the fact that there isn’t any snow.” She has lived on Ambergris Caye since 2006. Ambergris Caye offers beautiful island living. But homes are cheaper to buy and rent in San Ignacio. It’s located in a lush hill region with beautiful waterfalls near the Guatemalan border. San Ignacio’s temperatures (especially at night) are much cooler than they are in the coastal towns. We camped in our van, a few blocks from the town’s center. One of the main streets has a hippy-like vibe. Its restaurants serve tasty international and local food. I saw advertisements for cave-tubing tours and a sign that caught my eye. It was trying to entice expats to retire off the grid in the hills near San Ignacio. But Belize isn’t perfect. Its biggest cities won’t likely attract many expats. We spent a few days wandering around Belize City, home of the country’s only international airport. Unfortunately, it looks like an Eastern Bloc throwback from the mid 1970s. Crime rates are high and it lacks the colorful vibe that’s found in most Mexican cities. But that hasn’t stopped Belize’s rising popularity. Property prices are soaring in Placencia and on the country’s beautiful islands. 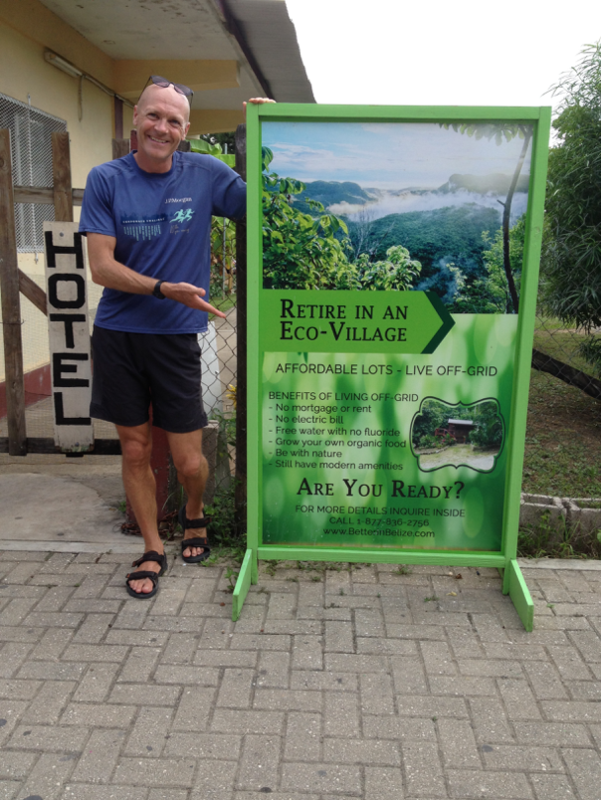 That’s why, if you want to retire in Belize, it might be best to check it out soon.